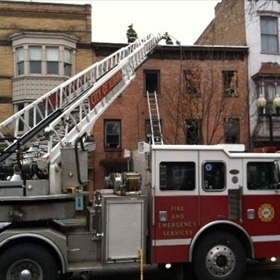 ALBANY, N.Y. – Firefighters rushed to the scene of a fire around 8:30 a.m. on Saturday morning, not just to battle flames but to also rescue people in the building. 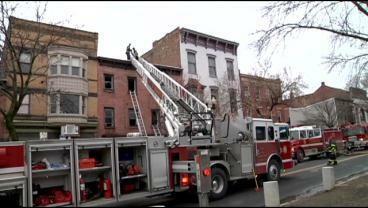 Fire crews responded to 238 Washington Avenue around 8:30 a.m. on Saturday. Officials say the building houses a business on the first floor and two apartments on the second and third floors. “It was a well involved fire heavy smoke fire on the second floor,” said Deputy Chief Michael Cox with the Albany Fire Department. Inside the building is a new business about to open up on the bottom floor. There are also apartments on the second and third floors. Firefighters said that their first priority on Saturday was to rescue two people trying to escape the flames. “We have some reports of folks trapped in the rear and did a second alarm to help those people,” said Cox. The two people climbed onto another building’s porch as they waited to be rescued, one of them was a pregnant woman. “We did have one pregnant woman that had to be evaluated as a precaution, but other than that no injuries,” said Cox. 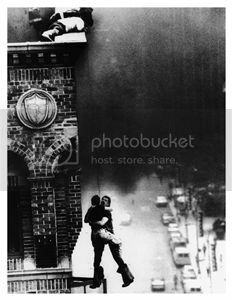 Firefighters used their ladder to get both people to safety as the fire itself proved challenges to put out. Renovations on the building at the new restaurant have been affected. “It was difficult, trapped in some walls difficult to locate. Involved a lot of overhaul a lot of intensive opening of walls and ceilings to actually locate the fire,” explained Cox. 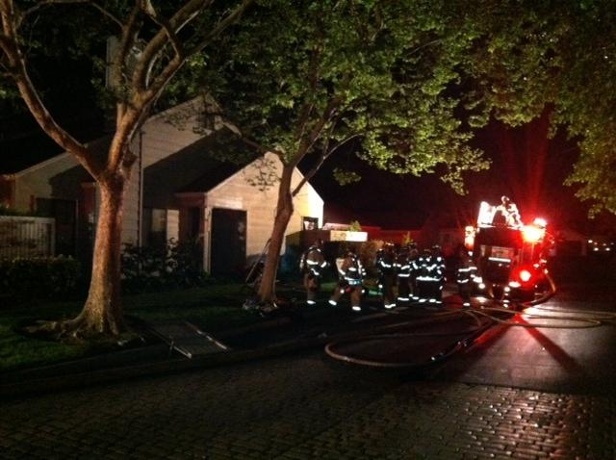 MODESTO, Calif. (KCRA) —Firefighters in Modesto saved an elderly man from a burning home in the early-morning hours Monday. The Modesto Regional Fire Authority said that it responded to reports of a house fire in the 200 block of West Rumble Road in central Modesto around 2 a.m. When fire crews got there, they noticed heavy smoke coming from the townhome. Neighbors reported that an elderly man who lived inside was unaccounted for. Crews confronted heavy smoke, heat and low visibility as they searched for the man. The man was located and rescued. He regained pulse and began to breathe on his own shortly after. He was alert at the hospital. The cause of the fire is still under investigation and no other injuries were reported. MILWAUKEE, Wis. —Milwaukee firefighters rescued a man from his burning apartment Friday night. The man is still in the hospital and is unconscious, authorities said. The fire was limited to one unit. Milwaukee Fire Capt. Rich Matiszik was one of the first on the scene. He joined crews around 11 p.m. and went inside the burning apartment to search for possible victims. 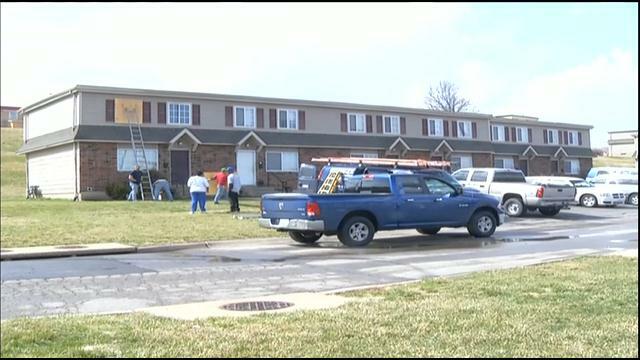 Firefighters found a man in a back bedroom unconscious and not breathing. Matiszik, who helped carry the man out to paramedics, said the smoke was thick and he could barley see. “It’s not like you see on television shows where you can walk in and see across the room. It’s pretty limited visibility, limited sight and sound, so we’re used to that. We train for that, we’re ready for that and we make due,” Matiszik said. The victim has not been identified. Neighbors who live here say he’s in his early 30s. The cause of the fire appears to be cooking-related, investigators said. Seven young adults were inside a St. Paul home early Sunday when a fire started by a candle ripped through the second story, leaving one in critical condition, forcing two to crawl out a bedroom window and jump off the porch and four others to flee to safety. 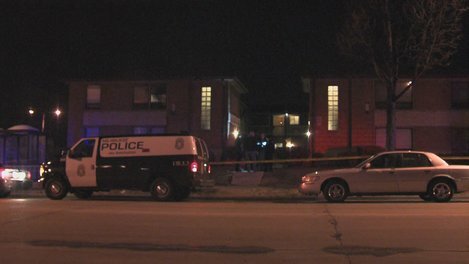 Six people lived in the house at 1410 VanBuren Ave. in St. Paul, off of Snelling Avenue near I-94 and one friend was visiting to celebrate a housemate’s 21st birthday Saturday night, 22-year-old Jake Foster, one of the housemates, said Sunday morning. Firefighers found a man, who housemates identified as Dan, unconscious inside the house as the fire was still raging. Dan is in critical condition at Regions Hospital, Fire Marshal Steve Zaccard said. An elderly couple was hospitalized late Tuesday after a fire broke out in a bedroom of their Caldwell home. The man rescued from the home was still unconscious when he was transported, said Caldwell Battalion Chief Tim Scott. The man was transferred from a Caldwell hospital to the Intensive Care Unit at Saint Alphonsus Regional Medical Center in Boise, where he was listed in serious but stable condition Wednesday morning, Scott said. Firefighters were dispatched at 11:30 p.m. to a one-story home with a basement in the 200 block of Elm Street. Smoke and flames were visible when firefighters arrived, Scott said. A woman appeared in the front doorway and told firefighters her husband was still inside. “They made entry into the house and found him in the living room,” Scott said. The man was on the floor. Firefighters pulled him out of the house and immediately began emergency medical care. “It was a heroic effort. The two guys that went in gave the guy a fighting chance,” Scott said. Three dogs inside the house also were rescued; one was given oxygen. All are safe and at a neighbor’s house. Both the man and his wife were transported to West Valley Medical Center. 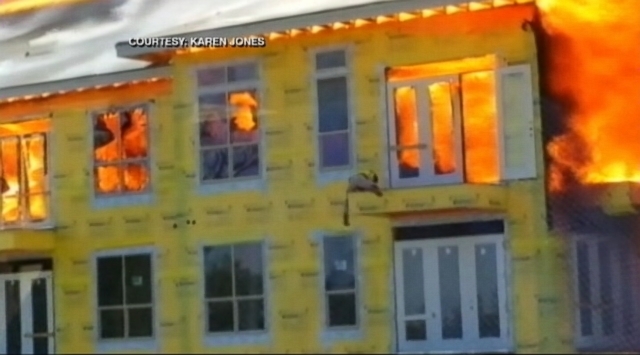 Scott said the origin of the fire was a bedroom, and the cause remains under investigation. He said there were no obvious causes, such as smoking materials or a space heater. There were no smoke detectors in the home, Scott said. 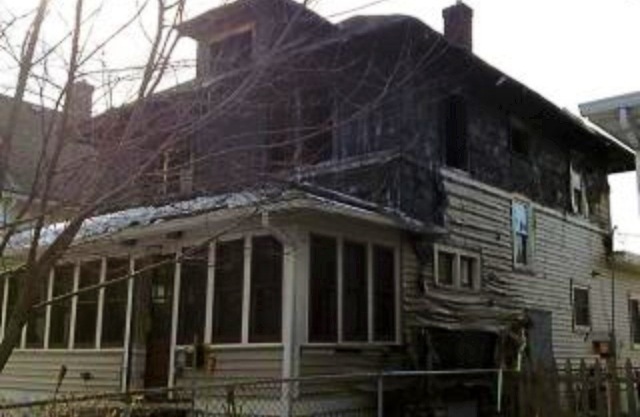 The house will not be habitable until repairs and cleaning can be done, so the couple is temporarily displaced. Yasmeen M. Walker, 34, faces a class C felony charge of endangering the welfare of a child. The 5-year-old was discovered alone in the residence shortly before firefighters responded to the apartment fire about 11:30 a.m. Thursday. The fire was reported in the second floor of the residence in the 2000 block of Park Tower Driver, Kansas City police told KCTV5. According to court records, a neighbor told police she saw Walker driving up the hill about the time that Walker’s son was standing naked in the doorway of Walker’s home. The neighbor told Walker to go back to the residence. Walker replied, “I can’t. It’s a fire,” the neighbor told police. So the neighbor and a friend went to the get the child, who told police the fire was started by candles in his mother’s room. According to court documents, the boy told authorities he had been left at home long enough to watch three TV shows. Firefighters put the fire out quickly and got the boy to safety. The boy is doing OK. The mom returned home shortly after the fire was put out. Kansas City police arrested her for child endangerment, police department Officer Darin Snapp said. Missouri social workers took the boy into their care. Prosecutors requested Walker’s bond be set at $20,000/10 percent. The Tuesday fire gutted the 396-unit, 4½-acre Axis Apartments project in the city’s hip Montrose district. The roof and the shell of the expansive structure collapsed as the flames turned it into a charred ruin. All construction workers who had been in the high-rise building were accounted for, and no injuries have been reported. One man was rescued as he prepared to jump to safety, Fire Capt. Ruy Lozano said. Fire officials said more than 200 emergency personnel battled the fire for 2½ hours before bringing it under control. The cause of the fire is still under investigation, Lozano said. (CNN) — Four-year-old Jacob Spillers was trapped in mud so thick it was like freshly poured concrete. But the little trouper didn’t panic as rescuers worked to free him from the mudslide that had swallowed most of his house and trapped his father and some other family members Saturday. “He didn’t cry. He didn’t move. He just stood there and was a very composed little man,” Ed Hrivnak, a volunteer pilot for the Snohomish County Helicopter Rescue Team, told CNN on Tuesday. Jacob was upstairs when the mudslide swept through the house. His father and three half-siblings have yet to be found. Randy Fay, a helicopter rescue team coordinator for Snohomish County, on Wednesday recalled spotting the boy “out in the middle of nowhere” not long after his crew first flew over the scene Saturday. “We have no clue how he ended up there by himself,” Fay said. “(There were) no homes, no nothing. 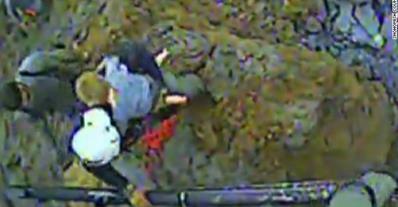 Jacob’s dramatic rescue was recorded by a camera on the Snohomish rescue team’s helicopter. It was an uneasy save. The helicopter couldn’t set down on the uneven, sticky soil so it hovered a few feet above the ground. The rotors sucked up debris, chopping up insulation and spitting it all over the scene. By the time rescuers got to the boy, his pants had fallen to around his ankles. They came off entirely “when we pulled him out of the mud,” Fay remembered. That left the boy “shivering badly” wearing only his underwear and a sleeveless T-shirt, according to Fay. But at least he could get warm, and at least he was safe. And he was calm as he was passed up into the arms of crew chief Beau Beckner. “That little guy was very brave,” Beckner wrote on the rescue team’s Facebook page. Another woman rescued that Saturday, Robin Youngblood, recalled talking to the boy and cradling him in a blanket. Jacob’s mother, Jonielle Spillers, is safe. She was at work during Saturday’s mudslide, which killed at least 16 people and destroyed much of two towns north of Seattle. Another eight bodies have been found but not recovered, officials said. As of Wednesday, a county official said that 90 people were officially missing or unaccounted for. 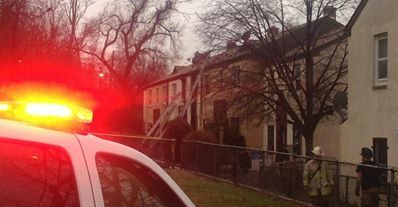 D.C. Police say one person was killed — and four other people were rescued — in a southeast D.C. house fire Saturday morning. The fire broke out in the 1200 block of Stevens Road SE, in the Barry Farms neighborhood, around 7 a.m. Firefighters found one person outside of the house but had to pull four others from the home. Three adults and two children were hospitalized in critical condition, with injuries ranging from smoke inhalation to burns. One firefighter was also hurt in the rescue. Later Saturday, D.C. fire officials and police confirmed that one of the patients had died. Late Saturday, that victim was identified as Mary Brooks, 54. There is no word yet on the cause of the fire. Red Cross volunteers are assisting those who were displaced. Police investigated a deadly shooting just a block away earlier in the morning. Three Pittsburgh firefighters rescued a man Thursday evening from his burning home in Sheraden and performed cardiopulmonary resuscitation to revive him, their chief said. Michael Smith, 40, and other family members escaped after the fire erupted about 6:35 p.m. in a second-floor bedroom of the two-story brick house in the 1200 block of Faulkner Street, said Bill Martin, a deputy city fire chief. “The male went back inside to get his cat and was overcome by smoke and collapsed on the stairs leading to the second floor,” Martin said. He said the crew of Engine 31 — Lt. Steve Ashe, Lt. Tim Hottenfeller and firefighter Tom Wilson — rescued Smith. “They thought everyone was out. They went inside, found him on the stairs, pulled him out and performed CPR on the porch,” said Martin. Smith was taken to UPMC Mercy hospital, where initial reports were that he is doing well, Martin said. The fire was confined to the bedroom but there was smoke and water damage in other parts of the house. Investigators are trying to determine what caused the fire.